Question 1: What decision did you made that had the biggest impact on your sales development team’s success? The most impactful decision we’ve made has been giving our BDRs “Owl Time”*. We hire smart, proactive, competitive, and technically curious employees that also may be interested in sales. We’ve found that many young people either don’t know what they want to do, or are hesitant of a career in sales, or both. We expect them to focus 90% of their efforts on sales qualification and prospecting. But, as they exceed quota, we expect them to find projects that may take up 10% of their workday. These projects both motivate them to do the BDR job and help them find where their passions lie. This decision has led to an excellent promotion rate. BDRs have moved into quota-carrying sales roles, sales operations, sales engineering, demand generation, product marketing, management, and finance. 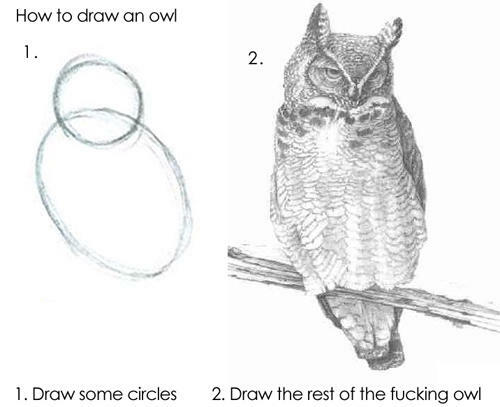 *We have a company value “draw the owl“. Our biggest challenge entering 2015 is continuing to adjust our BDR structure to meet the needs of our business model. Twilio’s platform opens up the world of telephony to new industries (e.g. startups without the resources to use expensive legacy providers) and to new use cases. We also have a usage-based revenue model. This can lead to some unique sales challenges. As we continue to iterate on our SQL process and definition we’ll be able to generate SQLs that efficiently use the sales team’s time and resources. Our biggest initiative for 2015 is better serving our customers through the increased skills specialization of our team. Because Twilio’s platform can be used across many industry verticals, departments, increasing our team’s knowledge of the various industries we serve will help us better serve our customers. a) Average response time to inbound leads (talk to sales requests.) Decreasing response times dramatically improves conversion rates. As we have worked with TOPO’s Craig Rosenberg over the last few years to reduce this time, we’ve seen big increases in conversion rates. b) Engagement rates. Our engagement rates vary significantly across different lead sources, but, given the volume of our inbound traffic, small improvements in engagement rates can drastically increase SQL production. c) Number of daily meaningful conversations. This is a great metric because we can use it to compare our various team segments (inbound, marketing programs, etc.) “apples to apples”. Regardless of the lead type or engagement rate there is an upper limit on how many meaningful Twilio conversations a BDR can have in a given day. Looking at this metric helps us understand resourcing and gives us a view into how we can improve performance. We use a lot of great tools likes Salesforce, LinkedIn, Salesloft, etc. One technology that I haven’t seen many BDR teams using that we’ve found useful is RingDNA. RingDNA is our inbound and outbound phone system. It lets us make calls through the browser and integrates with Salesforce. It also allows managers to listen in on live (and recorded) calls to help improve BDR performance. Today’s Author: Nick Simmons is the Senior Manager of Sales Development at Twilio. Twilio empowers businesses and developers to incorporate voice, messaging, and VOIP solutions into their business processes. Nick has been instrumental to designing and building the Twilio sales development team into one of the company’s true drivers of growth.